Use our Horizontal Cable Manager together with RXL’s open architecture (Two-Post or Adjustable Four-Post Rack) products to organize and store cables. The Horizontal Cable Manager includes plastic cable guides to organize cable pathways as they enter and exit the manager to make individual equipment connections. Use our Horizontal Cable Manager together with any of RXL’s open architecture (Two-Post or Four-Post Racks) products to organize and store cables. 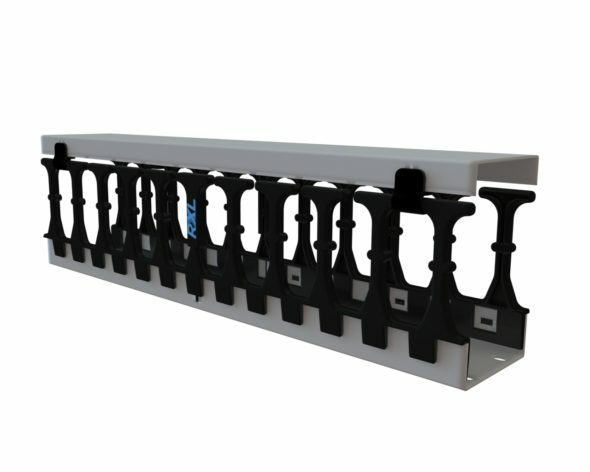 The Horizontal Cable Manager includes plastic cable guides to organize cable pathways as they enter and exit the manager to make individual equipment connections.